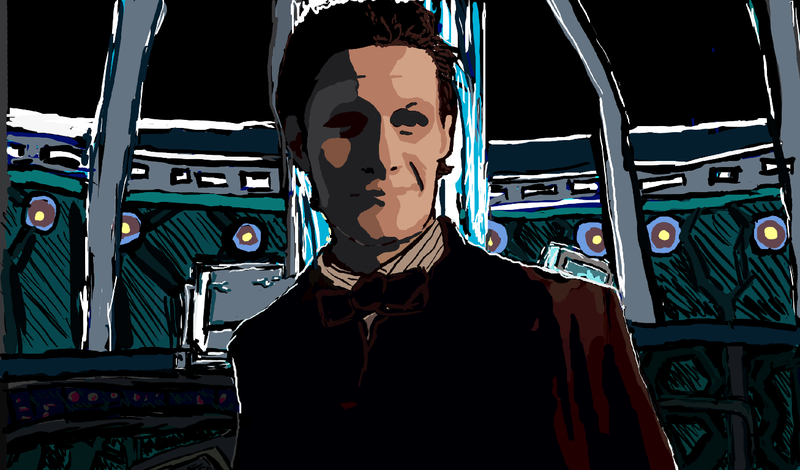 Eleventh Doctor – "On Game Design"
Turns out drawing all the Doctors is a really good way to practice drawing people — and the variation of backgrounds is a good excuse to try different painting tricks and techniques. I learned a few new tricks on this one. I think I could polish it up some more, but I’m running out of steam — so who knows?